As a homeowner, you tend to ignore plumbing issues that can eventually lead to big problems and force you to spend a lot of money. For example, if you have guests in your home and the washroom is leaking, it would be an embarrassing situation in front of them. 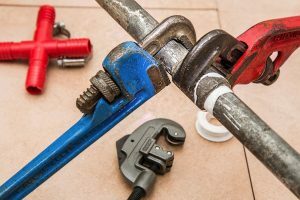 The simple but effective way of keeping plumbing issues at bay is to maintain your home in the best possible manner, especially the plumbing fixtures. Routine inspections are necessary so that potential problems could be eradicated. Otherwise, you might avail the services of an emergency plumber that is going to lead to spending a lot of money. It is not only the plumbing issues but also emergencies in the form of broken taps or burst pipes are common that not only lead to wastage of water but unhealthy water being supplied. In such eventualities, hiring a plumber is the only solution. They are experts in dealing with such cases and provide timely solution to your problems. If you are planning to use their services, you need to have the full list of problems ready so that the moment they arrive they can get to the job in hand. There could also be the plumbing emergency where your bathroom is in desperate need of a makeover. If this is the case, there are certainly a lot of different options available for you to utilize. Plumbing issues cause a lot of inconvenience, and you cannot delay such problems for a considerable period. For example, if there is accumulation of water it can pave way for a major health hazard. The contact details of an emergency plumber should always be with you so that you can call them up whenever the need arises. Leaky pipes are one of the major reasons on why you would need to hire them. Such pipes in case of joint fitters not only cause a lot of inconvenience to the homeowners but also for the people around them. It is going to accumulate water in your kitchen premises along with washroom that is not only going to spoil the sanitation but the expensive flooring, as well. Low water pressure in your taps can be a bit annoying when you have an important meeting to attend. One of the main reasons for such a situation is debris accumulated in the shower heads along with faucet aerators. An emergency plumber can remove the debris and valuable inputs on how to prevent them in future is also provided by them. Plumbing emergencies do not wait until a reasonable time to occur. It is important that you find a plumber that it able to come to your location fast. The faster the issues is resolved, the less damage to your property. Of course, you can put in measures to decrease the likelihood of a plumbing emergency by ensuring proper routine checks of all plumbing fixtures. No doubts about the fact that at a certain point in time in your life you would need the services of an emergency plumber. Various situations are likely to emerge in your home where you would need to use their services. If the problems are not treated on an immediate basis, they can cause a lot of water wastage and damage to your building. Numerous agencies are there who provide you with emergency plumbing services. If you do not have their contact information, you can do a random search on the internet or go through the websites. Normally, these agencies tend to have a contract with various plumbers and as soon as a problem occurs, they will send across a plumber to you. The service levels of the agencies are superior, but they are going to charge you something extra in this regard. For any plumbing service, if you need any emergency service, you can check out from your references. If anyone around your home is aware of their contact details, you can ask them to provide you. An idea about the service quality can also be found out from them. This will give you a concise idea of whether the plumber is good or not in the first place. When dealing with a plumbing emergency, you do not generally have time to “shop around” and find the best deal. The important things to look for when making a quick decision is the location of the plumber and whether or not they are in operation 24 hours a day.